I started with a Joomla 1.5.23 site and upgraded it with a joomla 1.5.x – 1.5.26 package from the Joomla website. I went to jEvents to get an updated version. I decided to google jEvents joomla 1.5 upgrade and found this link from jEvents. Starts with a jUpgrade or simular migration to 2.5. Start by going into plug-ins and enable Moo Tools Upgrade. Then install and run jUpgrade. I have had a lot of difficulty getting jUpgrade to run smoothly in WAMP. I have finally figured out a good install method after a couple of Win 7 reloads and multiple attempts to get WAMP set up with CURL correctly. Here is link to how I did it. Follow this lesson and got it all up and running in 45 minutes. Basically did jUpgrade, ran their migration php script, and then installed jEvents 3.0 and all the old info was in the new database. “#!/bin/sh id cat zot echo ok” in a test_me file in a Joomla 1.5 site. This is a linux bash script used to cat or create a file called zot. Must be connected to an attack. There was another file called “open_test” with another linux bash script. I am starting another Joomla 1.5.23 upgrade to 2.5 for security reasons. Before I started I noticed “payday loans” hyperlink going to “iolanipalace.org”. This was not a module area it was in the index.php file in the template. I went to to the template to see added text. I highlighted the text in blue. I googled “iolanipalace.org” and came up with a link I didn’ want to click on. UK Payday Loans from 516cash. Up to £1000 in 15 minutes! Instant Approval! No Transfer Fees, Apply Now! Seems like a scam lead through Cross-Site Scripting. I am hoping the damage isn’t severe. Upgrade your Joomla 1.5 sites before it is too late. While backing up a customers site to prepare for a new Joomla 2.5 site to be installed I noticed a file called “xk.txt” in the root directory. I opened the file to see only the following text. I am not going to repair this site because I am already upgrading it. Good reason to suggest any existing customers you may have with Joomla 1.5 site to upgrade or at least back up as soon as possible. I recently upgraded a Joomla 1.5 site to 2.5. I needed to expire a article, but the publishing options weren’t there. I am still learning 2.5, and needed to figure it out. Here is what I saw. Under Editing Layout make sure “Show Publishing Options” is set to “Yes”. Mine was set to yes, but wasn’t show. Click “save and close”. Now, the publishing options should be there. I needed an easy way to have a list that a client could update that would display a three columns. Using a table was causing extra spaces to show up when changes were made. 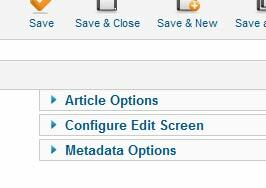 The pages were being edited in the Joomla Content Editor which is an awesome tool, but somehow spaces were being added. Ryan Fidler, schooled me on CSS3’s Column Count which solved it all. This lesson was posted on W3Schools.com. Responsive image not resizing proportionately. Working a redesign the image on the home page were responding to the the size of the browser, but only the width was changing. Found this article on the web that solved my problem. Keeping Parent Div From Collapsing When Floating Elements Inside it. I had a div with the id of footer. I needed to float three other divs ( div1, div2, and div3) inside this footer div. When I floated div2 and hit refresh in the browser to see my results the parent div (footer) collapsed. A quick search brought me to this following link that fixed the problem. I have never looked into getting user friendly / mod rewrites on the .htaccess file in Joomla when I am running the site locally under WAMP, but stumbled on this. Basically, click on WAMP server’s tray icon. Go to >> Apache >> Apache Modules and make sure that Rewrite is checked. If not, click on it and wait for the server to restart. 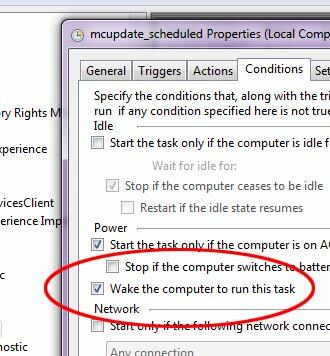 Windows 7 machine coming on at night after putting it in sleep mode. 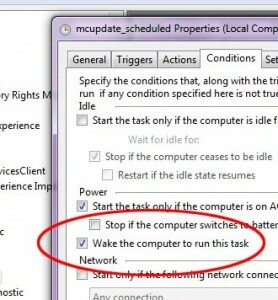 I was putting my Win 7 computer in sleep mode at night. In the morning the machine would be on. 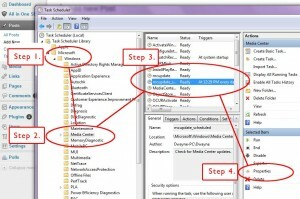 A quick search brought me to Task Scheduler. It turned out to be the Media Player was updating itself. 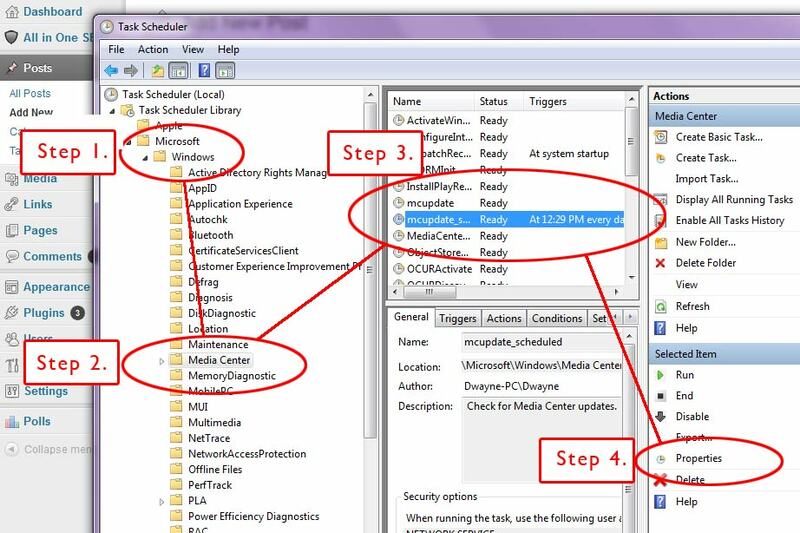 The following are screen shots of how to turn it off.